I’ve been finding London offices for a long time! Over 40 years in fact! And while much has changed in the intervening years, the fundamentals of looking for a new office in London aren’t that different. Back in the mid 70’s (yes I know, that was a long time ago!) I got a job as an office agent in the West End of London. I had just spent 2 years working in the City – London’s financial district. Back then the difference between the City and the West End was very pronounced. A move to the West End was, I hasten to add, for a very young and single man, fantastic! Gone were the bosses in 3-piece suits and bowler hats, and in their place were 2-piece suits. Some people – even then – didn’t wear a suit to work at all! I shudder to think what my Father would have thought of that; probably “Outrageous! And in the West End – the glamour of the fashion and media industries was a lot more fun than the dark and rather serious atmosphere in the City. I had a lot to learn very quickly, not least exploring the various districts and understanding their very varied rental values. My then boss insisted that the only way to learn the districts properly was to walk around the West End without a map! Instead he told me to have a good “swot” of the map first and try to commit it to memory. No Google Maps on iPhones in 1975! It seemed utterly mad, but he was right. A bit like a London cabbie learning the Knowledge. Although the first few days were very tricky, eventually I found myself overlapping areas that I had visited earlier and it all came together – unlike my shoes which came apart! Once I ’d developed a mental map of the West End, learning the different office rents for straightforward. I’d noted the different occupiers, the different styles of each area, together with the location of public transport facilities. I noticed that the smarter the suits, the more expensive the rents! Slightly weird but true! 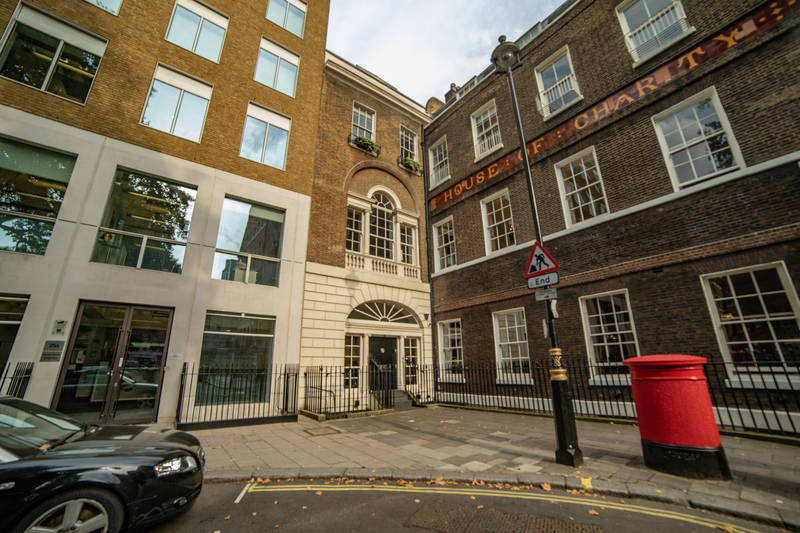 My very first client in the West End was a media company looking for a new office in London. Not surprisingly, they wanted a Soho commercial property, as most of the media industry was then based in Soho. Although it has greatly diversified in recent years, it’s still widely known for housing the main players in the media sector. This company had started up located elsewhere. However, in the pre-Internet age, it was far more important to be within walking distance of your suppliers, clients and competitors! Image was a critical factor for my client, so they wanted their own building. They’d already ruled out both a London business centre and a floor in a large building where they’d lose any distinctiveness. Although Soho has greatly diversified in recent years, it’s still widely known for housing the main players in the media sector. All very confusing as a method – but it worked. It was (regrettably) a long time ago. I lost the A-Z but not before I really knew my way around. Rents and buildings have changed remarkably in the West End over the past 4 decades. Thankfully, however, the street layout is almost identical. And – of course – the fundamentals of finding a new office in London remain in place. Knowing the area like the back of your hand and understanding the market are absolutely critical. The fundamentals of finding a new office in London are unchanged. Knowing the area like the back of your hand and understanding the market are absolutely critical. Going back to beginning of this article, The Rolling Stones, who I spent a lot of time listening to in the 70s (and still do now!) said back in 1968, “You can’t always get what you want”. However, I prefer their earlier confidence: “You can make it if you try”! If you are looking for a new office in Soho or indeed anywhere in London, please just tell us what you are looking for and we’ll do our best to help.